Forget “Buy Local.” A Growing Movement Is Urging People To Take Grass-Roots Support Further And Invest Local. It’s the kind of story people hear all the time. Two years ago, Rick Stender found out that a local business he liked—a custom-bike maker—was in big trouble. The shop needed money to import extra bike parts for the holiday rush. And banks wouldn’t extend any credit to such a young company. 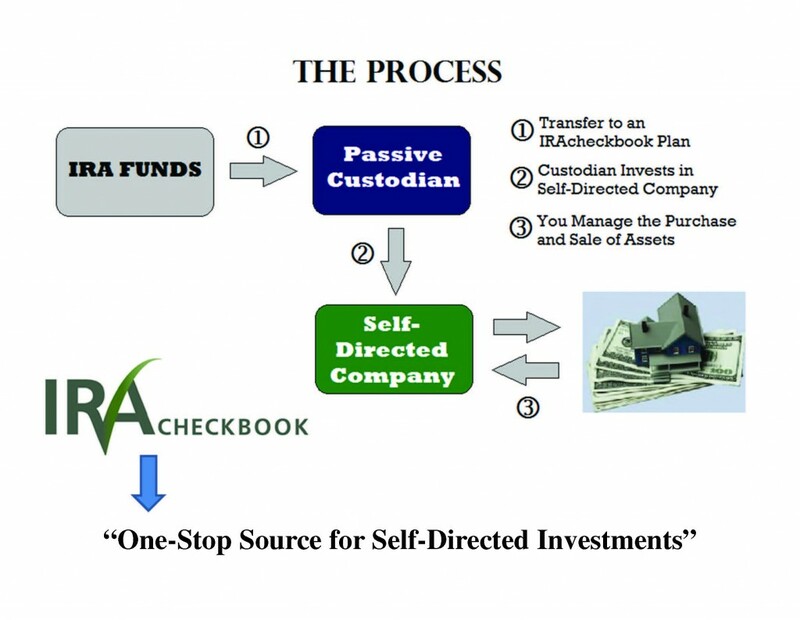 Self Directed IRA facilitator, IRAcheckbook.com has traditionally waited for a formal phone conversation to discuss the benefits and self directed IRA rules with an investor look to set up a self directed IRA. Recently, IRAcheckbook has invested in an email platform that delivers information directly to the investor without a preliminary sales call. Why hasn’t my Financial Advisor /Tax Attorney/ CPA about the Self Directed IRA process? Although we have a graphic and detailed text on our website a majority of our email questions center around investors wanting to know how the process works in compliance with self directed IRA rules. People have been conditioned to invest retirement funds into corporate stock like Walmart (NYSE:WMT) and Ford (NYSE: F). 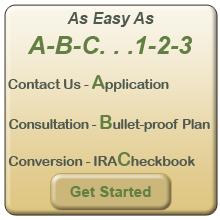 Well our process facilitates the creation of your own “self directed” company for the IRA funds to be invested. As a matter of fact, your IRA becomes the only investor in the “self directed company” and you have complete control as sole manager. More and more Americans are demanding choices, especially when it comes to how their retirement money is being managed and invested. This is why “alternative investments” play such a large part in The IRA Checkbook. 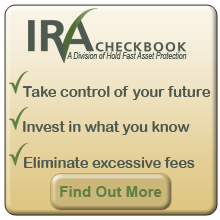 How else does IRA Checkbook differ from my regular IRA? with its checkbook IRA features that allow your account to basically operate like an IRA checkbook is the topic of many conversations this time of year as self employed search for ways to reduce their tax liabilities and increase funds for the future. A self-directed IRA can be a very valuable tool. SEP IRAs or Simplified Employment Pensions Individual Retirement Arrangements (IRA). Think you know everything about your IRA? Visit our IRA page. Here’s a good article showing the latest push from the IRA to tighten SEP IRA reporting requirements. The Treasury Inspector General for Tax Administration (TIGTA) has recently publicly released his report which points out that the United States Internal Revenue Service (IRS) allows millions of dollars in potentially improper self-employed retirement plan deductions each fiscal year. TIGTA’s report presented the results of its review to determine whether the IRS’s controls and third-party data are adequate to identify improper deductions for contributions made by self-employed taxpayers to their own Simplified Employee Pension’s (SEP) Individual Retirement Arrangement (IRA) accounts. SEP IRAs are managed by financial institutions (or entities approved by the IRS) serving as third-party trustees. These institutions annually notify employers, employees, and the IRS of contributions made to SEP IRAs. 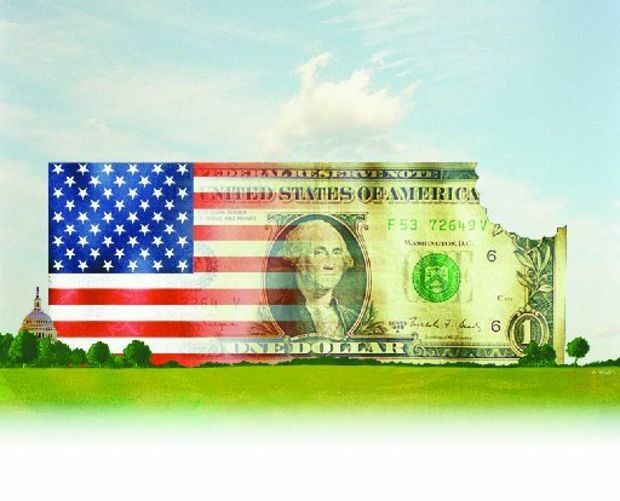 In 2011, total contributions amounted to USD1.7bn for more than 207,000 taxpayers. What to get the facts on What Self Directed IRA rules impact you? What you can and cannot invest in with a self directed IRA? We have a 5 part mini course that is a great base of information. If you have taxes due for the September or October 15th deadline, you may want to work with your tax advisor to find ways to pay towards your retirement account rather than the IRS. The goal with self directed retirement investing is to shift money that would otherwise go to the IRS into your retirement account. This is completely legal and specifically allowed by the IRS. In fact, the IRS wants you to do it. Did you know that most people can put way more than the $5,500 or $6,000 into a retirement account? In fact, you may be able to put over $100,000 per year into a retirement account and take a $100,000 tax deduction for it. If you are just getting starting investigating the self directed IRA or you want to advance your knowledge with new ways to invest in alternate investments and the rules of the SDIRA, then request our 5 Part Series on the Self Directed IRA. We found this article to be a third party confirmation of what Self Directed investors can do with the proper tools, resources and a self directed IRA. E*TRADE Financial Corporation (NASDAQ:ETFC) today announced results from the most recent wave of its quarterly self-directed online investor tracking study. – 89 percent age 55-64 believe retirement is real and they will one day notneed to work and be able to live comfortably. – 81 percent of the total population believes they will retire between theage of 55 and 74 — only 5 percent believe they will never retire. – 63 percent age 55-64 believe they won’t need to work at all inretirement. Several data points also suggest that a successful strategy for these investors is simple yet disciplined: start early, use an online tool, make automatic contributions and don’t tap the well early. 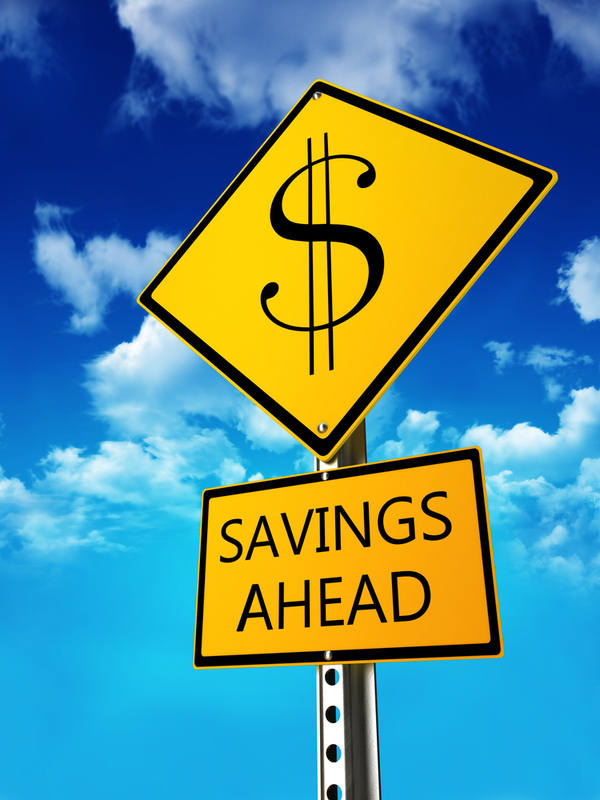 – 47 percent age 65+ wish they started to save earlier for retirement. – 81 percent have never taken out money from an IRA or 401(k) before theage of 59.5.
and watchingonline tutorials (23 percent). – 63 percent of the total population believes automated contributions arebetter than periodically deciding how much you want to invest (37percent). “Discipline in investing is the best advice,” continued Haas. “What is striking is that while professional advice continues to be relevant, online tools are leading the pack on what’s most helpful. This is a critical trend. E*TRADE is a partner in helping investors balance today’s needs with tomorrow’s goals, through access to curated content and insights with actionable tools — complemented by unbiased guidance — online and from seasoned financial consultants. To learn more about retirement planning, visit etrade.com/retirement. E*TRADE will host its third annual National Retirement Education Day on March 13, 2014. The day offers a number of events, all of which are free for any investor looking for guidance in achieving their financial goals. Visit E*TRADE’s Retirement Day section on etrade.com for registration details and a full schedule of events. For useful insight from E*TRADE and third-party investment experts, follow the Company on Twitter, @ETRADE. Research Now, a leading digital data collection provider, powers market research insights. We enable companies to listen to and interact with the world’s consumers and business professionals through online panels, as well as mobile, digital and social media technologies. Our team operates in over 20 offices globally and is recognized as the market research industry’s leader in client satisfaction. We foster a socially responsible culture by empowering our employees to give back. To find out more or begin a conversation with us, visit www.researchnow.com. This wave of survey was conducted from Dec. 2 to Dec. 10 of 2013 among an online U.S. sample 900 self-directed active investors who manage at least $10,000 in an online brokerage account. The survey has a margin of error of +/-3.2 percent at the 95 percent confidence level. It was fielded and administered by ResearchNow. The panel is 59 percent male and 41 percent female with an even distribution across online brokerages, geographic regions and age bands. E*TRADE Financial, E*TRADE and the E*TRADE logo are trademarks or registered trademarks of E*TRADE Financial Corporation. (c) 2014 E*TRADE Financial Corporation. All rights reserved. E*TRADE Financial Corporation and ResearchNow are separate companies that are not affiliated. E*TRADE Financial Corporation engages ResearchNow to program, field and tabulate the study. Who Can Establish a Self Directed SEP IRA? Who Can Establish a traditional SEP IRA? 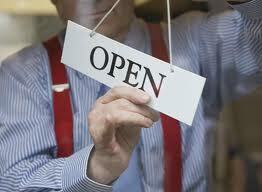 SEPs can be established by any type of business entity, including a sole proprietorship and independent contractors. SEPs are a great opportunity for the self-employed. What is a SEP IRA? Known as a SEP or SEP IRA, a Simplified Employee Plan is a retirement plan established by an employer, a sole proprietor, or an independent contractor. A SEP permits the self-employed or employers to make deductible contributions. These contributions are made to a Traditional IRA. Contributions to a SEP in any given year can be made up to 25% of earned income (with certain dollar limits). What is a Self-Directed SEP IRA? You can transfer all or part of your account to a self-directed SEP IRA. This combines the higher contribution benefit of the SEP with individual control. With a self-directed retirement account – you decide how to invest. When should a Self-Directed SEP IRA be considered? 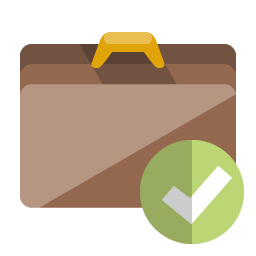 If You Are Self Employed as an independent contractor or sole proprietor, or are part of a partnership, C-corp or S-corp. If You Want Greater Investment Choices and you are unsatisfied with the returns offered by your current retirement account. With a self directed SEP IRA, you won’t be restricted to mainstream investments like mutual funds, stocks and bonds. You can have a wider choice of investment options including real estate, mortgages, tax liens, notes, precious metals and more. If Your Business Income Fluctuates and you don’t want to be locked into making contributions annually to an employer-sponsored plan. Low administrative costs and easy set-up are two major advantages of an self directed SEP IRA over other qualified plans. If You Want To Reduce The Tax Withheld From Your Paycheck. Contributions to your SEP account are not subject to FICA or other tax withholdings (does not apply to self-employed individuals). If You Want Tax Benefits. All SEP contributions are deductible for employers. If You Want To Shelter Interest Earnings. Interest earned in an IRA is not taxed until withdrawn (generally upon retirement). – See more HERE. Q. I have four IRAs and I am over 70 1/2. I would like to know how to figure out the required minimum distributions (RMDs) for these accounts. A. Not taking the proper RMDs from IRAs can result in penalties, so we’re glad you’re trying to get a handle on what you with withdraw from these accounts. You are required to take your first RMD no later than April the first of the year after the year you turn 70½, said Bernie Kiely, a certified financial planner and certified public accountant with Kiely Capital Management in Morristown. Or, if you are still working, you can hold off your first RMD until you stop working. Kiely explains further with this example: Assuming you’re no longer working. If you were born before July 1, you will turn 70 in a calendar year and you will turn 70½ in the same calendar year. In this case, you are required to take your first RMD by April 1 of the next year. Kiely said he was born in September, so he will turn 70 in a certain calendar year (he wasn’t sharing exactly when). But he won’t turn 70½ until the next calendar year. So according to the rule, he could wait until April 1 of the next calendar year to take his first RMD. For all subsequent years you must take your RMD by Dec. 31 of each year. Kiely said the formula for your first RMD is based on the total value of all your IRAs on Dec. 31 of the year prior to your distribution. The second part of the formula is the IRS’s Joint and Last Survivor Table, which is available in IRS Publication 590, “Individual Retirement Arrangements (IRAs). Publication 590 also includes handy worksheets to calculate your RMDs, Kiely said. Table 3 lists the ages from 70 to 115. Kiely said you should use the age that you will turn on your birthday in that calendar year. Kiely said the formula for your RMD is the value of the account on the last day of the prior year divided by the factor (27.4 at age 70). You divide by the factor — it is not a percentage. Kiely had one final thought: You are required to take your RMD and pay the tax. You are not required to spend the money.